With the right level of innovation and a new generation of entrepreneurs, we can transform tech inequality. Today, it seems that you cannot walk down any street without dodging people who are watching the screens on their phones rather than looking where they are going. This continues in wifi-enabled public transport, restaurants, museums and parks. We increasingly rely on devices to tell us the weather, feed us the news, monitor our exercise and help us choose a hotel. Yet we know that there are many in the world who do not benefit from such amenities. The author William Gibson once told NPR, “The future is already here – it's just not very evenly distributed.” His insight applies beyond the masses staring into $1,000 smartphones. Uneven technological distribution can have life or death consequences. 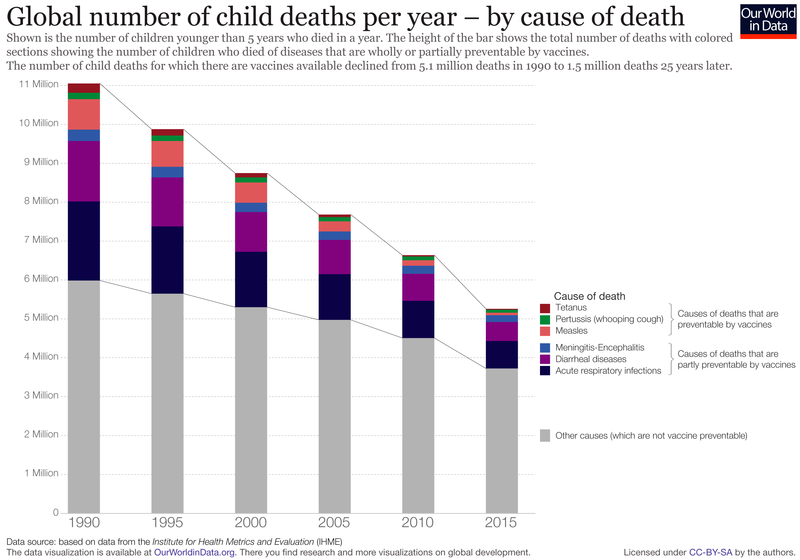 In wealthy places, such as Davos or London, progress in healthcare has made once-terrifying illnesses, such as diphtheria, tetanus, whooping cough and polio, almost nonexistent through vaccinations, excellent clinical facilities and research hospitals. Yet tens of millions of children worldwide cannot access routine vaccinations or decent hospitals. Social, geographic, political, economic and technological factors limit access to simple treatments. They are on the wrong side of an equation that medics have spent decades wrestling with: the so-called “inverse care law”, whereby the availability of good medical care varies inversely with the local population’s need for it. This same inversion equation applies to almost all technologies: from smartphones to banking, electricity to food storage. But with the right level of innovation and a new generation of entrepreneurs, this can change. In sub-Saharan Africa, hundreds of millions of people have gained access to mobile phones, using text messaging and mobile payment systems like M-Pesa in new and sophisticated ways, typically on $50 smartphones. While governments and telecom companies failed to rollout mass access to landlines, people “leapfrogged” to more advanced technologies, and a wealth of startups emerged to provide healthcare, education, finance and transport via handsets. Successes like mobile phone adoption in Africa make it easy to get carried away by tech optimism. Wider access to mobile technology is less useful when billions have little or no access to power or safe drinking water. Roughly 1.3 billion people worldwide have no access to electricity. In large parts of the world, including much of rural India, there is little prospect of traditional power grids being rolled out. Innovators such as Clementine Chambon are making an enormous difference in inverting this equation. Chambon’s venture Oorja designs and installs mini solar grids in rural areas not currently connected to India’s national energy network. In a country with 2,700 hours of sunshine a year, this technology provides a great opportunity to accelerate economic growth and reduce regional inequalities. Ultrasound is another technology that saves and improves lives, but is traditionally unwieldy and inaccessible in much of the developing world. Yet rapid technological advances have allowed Imperial College London bioengineering PhD students and Microsonix founders Graham Peyton and Hamid Soleimani to shrink the components of ultrasound machines down to a single chip. Their low-cost, portable medical imaging device takes advantage of the emerging presence of smartphones in Africa, plugging into an inexpensive device to function as a high-quality and affordable ultrasound. It is up to technologists in academia and business to recognize their ability and responsibility to enable solutions. In Davos, university leaders are convening business and academic innovators to work out how we can better foster responsible technological innovation. We need technologies to diffuse and leapfrog into rural areas, developing countries and isolated regions. That means pushing technology beyond the traditional beneficiaries and thinking carefully about its distribution. This is a priority for the Global University Leaders Forum at the World Economic Forum. Davos participants will get the chance to hear from Imperial College experts Wendy Barclay, Robin Shattock and Jason Hallett who are working to reverse the inverse care law as they advance vaccine technology, helping it to leapfrog existing options. Their work enables unprecedentedly rapid production of new vaccine doses, within weeks of a disease threat being identified. Their teams are also developing new room-temperature storage options that could eliminate the use of cold chains: a major hindrance to storing vaccines in low-income countries. Professor Barclay is even working to stop diseases like influenza spreading without the need for vaccines. These pragmatic, ambitious innovations with a mind to technology’s distribution should be a priority. Universities will become central to this process as an important convening power, bringing together public and private sector partners. National initiatives, such as Germany’s High-Tech Strategy and the UK’s Industrial Strategy, can enhance this responsible stewardship of technology. As we will see at Davos, technology leaders are thinking about the legacies of their innovations. When we take the implications of access to technology seriously, we can reverse the inverse-tech equation. Gibson was right about the future. Now it’s time to redistribute it.